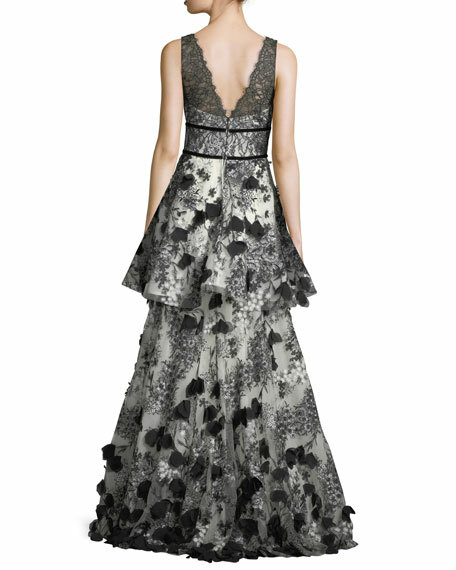 Marchesa Notte 3D floral-embellished gown. Approx. 63.4"L from shoulder to hem. 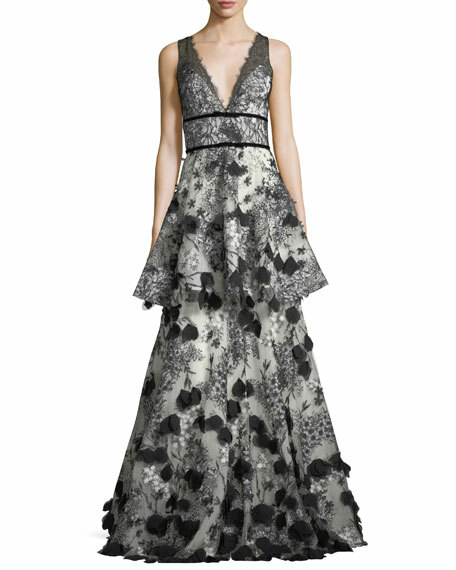 For in-store inquiries, use sku #2412331.